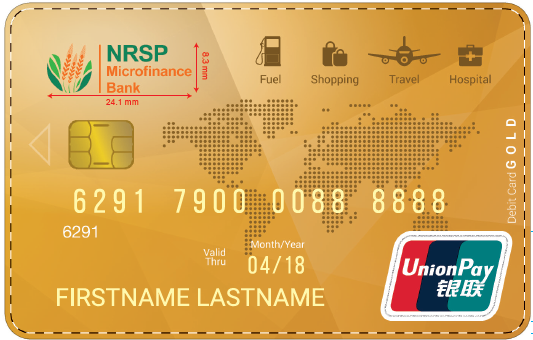 Through NRSP Debit Cards, you can enjoy unlimited access to your account anywhere around the world to pay for shopping, dining, fuel, travel etc. NRSP’s GOLD Card Plus, GOLD and SILVER Debit Cards provide you broad freedom of cash withdrawal and payments. NRSP MFB has multilingual IVR (Interactive Voice Response) facility to ensure security and 24/7 customers’ facilitation. Address: NRSP Microfinance Bank Head Office, Chak 10, Near Baghdad Railway Station, Hasilpur Road, Bahawalpur.